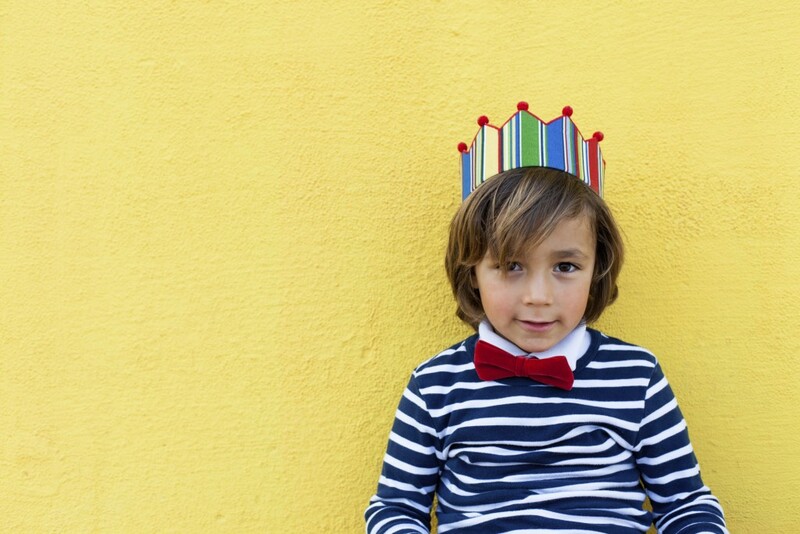 It’s not uncommon for adopted children, teens, and even adults to have conflicting feelings about birthdays and other dates of note. Small children may not even understand why and may need the adults in their lives to help put words to their complex feelings. Birthdays are often the day infants are separated from their biological mothers. This separation, an undeniably traumatic event, is stored in the brain and body as an implicit memory because the separation takes place before language develops. The memory becomes embodied and can later be triggered without conscious knowledge. Difficulty navigating holidays and birthdays may be compounded for children and teens who have been in multiple placements or foster homes before they were adopted. Each year may mark a different memory and an additional loss. Adoptive parents should be sensitive to their child’s experience and remember that their child’s history began before they became a family. This is also true for children adopted at birth or in early infancy. They, too, had a history prior to being adopted. On Mother’s Day and other holidays, parents can “say” what is not being said by celebrating and acknowledging their child’s birth mom and genetic relatives. 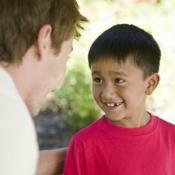 They can ask their child about what they are experiencing and validate any and all feelings. Families might decide together to incorporate customs, traditions, and special foods of a child’s country of origin into their existing traditions. If the adoption is an open one, parents can make contact with their child’s biological family. It’s OK for parents to give themselves permission to get creative and think outside the box. Most importantly, parents should strive to see the world from their child’s point of view and imagine how difficult it may be for the child to integrate the inherent split adoption creates. Adopted children and teens want and need their parents to be their advocates at birthdays, holidays, and every day, and to lead the conversations until they feel comfortable doing so. Why shouldn’t they be happy occasions especially when the child is younger? I don’t think that there will be too many kids of a young age thinking about how they were adopted and think that they are missing out on something. I was adopted and i remember feeling this exact same way when I was a teenager. You really start to dwell more, or at least I dd, on why my birth mom gave me up and I wanted to know why I wasn’t good enough for her to keep. I thought that I would search her out and make her give me the answers I was so angry and felt like I needed. It has been hard but I have finally as an adult come back around to enjoying my birthday. This is dead on accurate. As a grown adult, I can tell you that I would start crying every year the minute the lights went out and the candles were lit and the singing started. My birthday was 12/31 and it always had to be a big event or an excuse for a party in my house. I HATED IT. I would curl up in a ball in the corner and just cry. I remember everyolne looking at me like I was crazy…. Play it forward 38 years later. April 1, 2008. The day I FIRST learned I was adopted. Yeah, consider me a test dummy for all of the non believers who try to label adoption issues. I had all of them and didn’t even know I was adopted. So no one brainwashed me, told me how I should be feeling, I just was who I was. To me now, I look back and see a bunch of memories of people who didn’t know how to handle me or let me express my feelings properly. My parents would move me from school to school not addressing the real issue of why I couldn’t connect with people or would be devastated when a ‘friend’ turned their back on me. So moving me around without addressing the issue was their crappy solution. To this day, even now knowing I’m adopted I hate my birthday and now has even more pent up feelings knowing my birthmother suffered every new years eve too. You just can’t make this stuff up…its who we are. Vicki- what a terrible way to learn that you were adopted! Thank you for saying that Melody <3 I'm turning 54 on Jan 29th (2015, this year) and the only peace I have found is here… on line. So many kind and understanding people! I respectfully disagree with the hypothesis presented in this article. There is no evidence that we can have any memory, implicit or otherwise, of something that happened at birth and for that event to traumatize us for life. If so, we would be triggered by everything that reminded us of being circumcised, being left with a sitter, or the trauma of being born, for that matter. As an adopted child, I loved birthdays and believed that I was given up because I was loved so much, and adopted because I was loved so much. When adopted children or adults have emotional issues relating to adoption, I would suggest it is due to the cognitions they have around that issue. When children are told at an early age and it is framed in a positive way, there is no trauma. I am so glad that you have had such a positive experience but I have to disagree with you. There is lots of neuroscientific evidence to prove that children have implicit memories. Developmental trauma is fact. I have two very different adopted children who have both always known they were adopted and it has always been presented to them in a really positive way. One is very positive about being adopted the other has an attachment disorder and really struggles with being adopted. I don’t think we could have done anything to change this. Attachment disorder and developmental trauma affects many adopted children. Brain scans show huge differences between those who have been affected and those who haven’t. It’s weird that you still feel so strange even once you find out that you are adopted. There always seems to be this push/pull within that tells you how lucky you are to have a family who loves you and cares about you but at the same time it is hard to accept that there was someone else out there who knew you first, who birthed you and you have this connection to but yet not really. At 2:25 in this video clip, brain researcher Dr Karyn Purvis addresses the role of brain maturation and memory. There is emerging evidence that the brain begins encoding experiences including traumatic ones, long before birth. Thank you Lori. That is very intriguing and I could see that as supporting the theory. I suppose it would depend on whether being given up for adoption was considered traumatic for a newborn baby. I would suggest that if it occurred before attachment had taken place and was done lovingly, as in my own circumstances, then that would not be considered an implicitly remembered trauma. Alternatively, if there were any type of traumatic circumstances, then there is the possibility of our brains storing that trauma. I guess from my personal bias, all adoptions are not considered traumatic, and therefore it perhaps should not be generalized that adopted people necessarily have emotional issues surrounding this. I often read theories to suggest so but not any research. Perhaps this would be an interesting project to take on. I certainly respect and appreciate your professional opinions and this discussion! The children who do the best with being adopted are the ones whose adoptive parents are the most up front and honest with them about their birth, and not the ones who try to hide it from the. When they are consistently told the truth about how they became a part of the family I think tat there is something so truthful and honest about it that it makes them more comfortable with other relationships that they will develop in the future. There is none of that insecurity that they could feel. I have never understood why my parents gave me up, they had other kids that they kept and so I knew that and it always tortured me in many ways knowing that they chose to keep them and give me up. My adoptive parents tried to tell me that they did it to ensure that I would get only the best, that they knew they couldn’t provide for me but you see as a kid, I didn’t get that at all. I even still have a hard time accepting that as an adult because I wonder what life would have been like if I had stayed with them. My parents never really hid it from me that I was adopted so I think that this is why I never had much of a problem with it. They were always open about how they had adopted me and they even had information for my birth mother in case I ever wanted to try to meet her. I don’t want to, that’s a part of my life that I do not feel connected to in any way and I guess that is a testament as to just how great my parents have made my life for me. I know that I am very blessed to have had them find me, and I would never want anything other than them for my family. Don’t you think that it must feel strange to have these feelings of love for someone that you have never met? Gerald C it’s not so much having feelings of love for someone you’ve not met. It’s like being a tree and not having a root system under you. It’s human nature to want to know you history. You have to be an adoptee to grasp the intensity of wanting to know…Some reunions are great others just huge disappointment,…Luck of the draw I guess. These are some great tips, and I appreciate your advice to talk to your adopted child and help them express their feelings. My husband and I have been discussing adopting a child, and I think we’re going to follow through with it next year. We’ll definitely keep in mind to be sensitive to their implicit emotions and help them express themselves and deal with them. Thanks for the great post!